The U.S. Department of Education wants to identify and help states and local districts address occurrences of significant disproportionality based on race and ethnicity in the way they identify and place students with disabilities and impose disciplinary actions. LDA has responded to the Department’s request for comments on proposed regulations to the Individuals with Disabilities Act (IDEA) to ensure equity in the application of the law. The proposed regulations are targeted at helping states determine when significant disproportionality based on race and ethnicity occurs in identifying children as children with disabilities in certain disability categories and placing students in more restrictive educational settings. The regulations also would apply to the examination of the incidence, duration, and type of disciplinary actions used and whether children in particular racial and ethnic groups are subjected more frequently to exclusionary actions, including suspension and expulsion. The IDEA does not include a definition of significant disproportionality. States have had the discretion to use whatever analysis they choose to reach this determination. Now the Department proposes to require states to use a uniform methodology. In addition, under current law, school districts with a finding of significant disproportionality must use 15 percent of their federal IDEA funds to provide comprehensive coordinated early intervening services (CEIS) particularly, but not exclusively, to children in the groups that were over-identified. The IDEA restricts the use of CEIS funds to students in grades K-12 and those not yet identified as needing special education services. The Department proposes expanding the use of CEIS funds to children in preschool and to students with disabilities. LDA responded that the proposed regulations miss the mark by looking only at a mathematical calculation of disproportionality. Rather, LDA believes there are a number of underlying societal issues that may result in the disproportionate representation of certain student populations in special education. Those factors may include poverty, environmental toxins more prevalent in certain communities, and poor pre-natal care, just to name a few. These problems cannot be solved by nor are they the sole responsibility of the education system. The organization also cited the need for strong attention to the proper implementation of the IDEA child find, referral, and evaluation processes, including the need for a comprehensive evaluation that includes an assessment of cognitive processing. These processes were designed to distinguish between students who are struggling learners whose achievement may be affected by factors beyond academics and those who have true disabilities. LDA also cited the need to ensure all students, after appropriate evaluation, receive special education services if determined necessary, regardless of race or ethnicity. Simply determining that only a certain percentage or number of students in a particular group should qualify is harmful and against the spirit and intent of the law. LDA supports using CEIS funds only for students with disabilities. With the continued federal underfunding of special education, IDEA dollars should not be diverted away from serving the target population. The organization also noted the lack of specialized instructional support services in general education, which sometimes prompts referrals for special education by educators and families seeking solutions for struggling learners. Most important, parent training was cited as a critical factor. Parents must be supported to understand their children’s educational needs and be made aware of the services available to assist them. Click here to read LDA’s complete response. 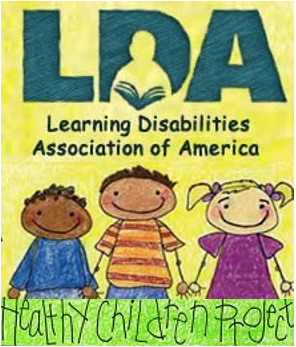 LDA has many excellent resources on its website to help families and educators address this and other issues in providing services to students with disabilities. Three bills have been introduced in Congress that would impose significant requirements on individuals alleging violations of the Americans with Disabilities Act (ADA) before they would be allowed to commence civil actions. These bills have garnered some bipartisan support, which is a change from previous sessions of Congress. LDA is paying close attention to these legislative attempts to dilute the protections of this important Act. Fortunately it is unlikely these bills will see action before the end of the year, giving advocates more time to strategize plans to combat these attempts. The ACCESS (ADA Compliance for Customer Entry to Stores and Services) Act of 2015 (H.R. 241), sponsored by Representative Ken Calvert (R-CA), deals specifically with structural barriers. 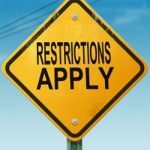 Individuals alleging discrimination based on failure to remove structural barriers impeding access to public accommodations would be prohibited from instituting a civil action unless two criteria were met. The individual would first have to provide written notice specific enough to identify the barrier. Second, the action could not be commenced unless the owner or operator either failed, within a specified period of time, to provide the individual with a written description of improvements that would be made to remove the barrier or provided the description and did not then remove the barrier. Introduced in March by Representative Jerry McNerney (D-CA), the second bill is the Correcting Obstructions to Mediate, Prevent, and Limit Inaccessibility Act, known as the COMPLI Act (H.R. 4719). This bill also prohibits an individual alleging an ADA violation to commence a civil action unless several conditions are met. First, the individual would be required to provide the owner or operator of the accommodation a written notice specific enough to identify the violation. Second, the notice must specify the owner or operator has 90 days to remove or correct the violation before an action will be brought. Third, the individual would be barred from sending any demand letters, requests for settlement, or other communications to the owner or operator during the 90-day period. The owner or operator would be required to provide public notice of the alleged violation and steps taken to remedy it. An additional 30 days would be allowed to comply if there is a good faith effort, but they are unable to correct the violation within the original 90-day window. The third bill, sponsored by Representative Ted Poe (R-TX), is the ADA Education and Reform Act (H.R. 3765). H.R. 3765 would require the U.S. Department of Justice Disability Rights Section to develop a program to educate state and local governments and property owners on strategies to promote access to public accommodations for people with disabilities. Such a program could include training on providing guidance on remediation of potential ADA violations. H.R. 3765 also prohibits individuals from and would impose criminal fines on violators for sending demand letters or other pre-suit notifications alleging violations of the ADA public accommodations requirements if the notification does not specify the circumstances under which an individual was actually denied access. The notification would have to state the address of the property where the violation is alleged to have occurred, the specific ADA sections allegedly violated, whether a request for assistance in removing the architectural barrier was made, and whether the barrier was permanent or temporary. In addition, initiation of a civil suit would be prohibited unless the individual provided specific written notice to the owner or operator identifying the barrier, and the owner or operator failed to provide a written description of the changes that would be made to improve the barrier or failed to remove the barrier or make substantial progress toward doing so. Finally, the bill would require the Judicial Conference of the United States to develop a model program to promote alternative dispute resolution mechanisms to resolve these claims. LDA has joined with its partners in the Consortium for Citizens with Disabilities (CCD) to oppose these efforts to roll back protections under the ADA. Letters have been sent to the sponsors of the individual bills and to the committees of jurisdiction expressing our position. With the reauthorization of the Elementary and Secondary Education Act (ESEA) finalized, the congressional education committees may turn next to re-examination of the Carl Perkins Career and Technical Education Act (Perkins CTE). This law enjoys strong bipartisan support, improving the chances a bill could see action before the end of the year. The Senate is farther along in discussions on Perkins, but both chambers seem anxious to introduce bills later this year. In the interim, several members of Congress have introduced smaller bills that highlight their particular priorities under Perkins. One example is the Technical Education Creates High-Paying Careers Act (H.R. 5096). This bill would add the American Technical Training Grant Program to Perkins, based on a proposal in the President’s budget for competitive grants to postsecondary institutions for job training programs that help economically disadvantaged students enter career pathways leading to jobs in high-skill, high-wage, or high-demand occupations. The House Education and the Workforce Committee also held a hearing to discuss strategies for the reauthorization of Perkins. The hearing highlighted several promising models that focus on providing high-quality CTE coursework to all students. Among the witnesses was Senator Tim Kaine (D-VA), co-chairman of the Senate CTE Caucus. He described several bills he and Senate colleagues have introduced, including the Middle STEP Act, Educating Tomorrow’s Workforce Act, Creating Quality Technical Educators Act, and the JOBS Act. Kaine also emphasized the importance of aligning any Perkins efforts with the recently passed Every Student Succeeds Act (ESSA) and other federal education and workforce preparation laws and policies. 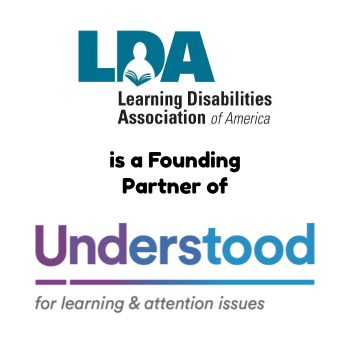 LDA has joined with some members of the Consortium for Citizens with Disabilities (CCD) Education Task Force to issue principles for the Perkins reauthorization. CCD noted that, while Perkins includes students with disabilities in its “special populations” category, stronger language should be adopted to ensure families are aware of these programs and students’ needs are met. In addition, CCD urged better alignment with the Rehabilitation Act and ESSA. 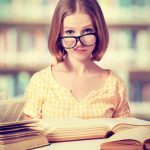 Include students with disabilities, as well as the other “special populations” listed in the law, as distinct categories to highlight the specific programming needs of each group. Require that state and local CTE plans describe how the needs of students with disabilities will be met, including recruitment, instruction, career counseling, and other supports. Include in state and local plans how students with disabilities will be provided appropriate accommodations, assistive technology, and full access to technology. Require disaggregation of data in the CTE accountability system by each special population group, including students with disabilities, and evaluation of student outcomes disaggregated by disability category. 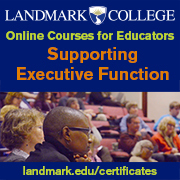 Provide comprehensive professional development for all CTE staff working with students with disabilities, including training in the use of universal design for learning in instruction, curriculum development, and support services. Assure CTE programs include students with disabilities in proportion to the population of students with disabilities as represented in the total student population. Define worksite learning as taking place in settings that are competitive integrated employment settings. LDA also participates in a large national coalition examining the Perkins reauthorization led by the Association for Career and Technical Education.